Selecting a computer power supply requires several considerations. The first is the physical size. Will it fit in the case? Will it interfere with any other component? Will it line up with the mounting holes in the case? In other words, are all of the physical requirements met? For all of the cases except the slimline desktop you will be adhering to the ATX standard or form factor. This assures the physical size. The next thing to consider are the connectors, are they the right shape and size, and do they have the proper voltages. This also is covered by the ATX form factor. But, keep in mind; this can change with each version of the form factor. Currently they are up to version 3.21 of the ATX form factor. But, most power supplies are backwards compatible to version 2.0. Since most of the considerations are taken care of by choosing the ATX form factor, you are left to decide how much power you need. 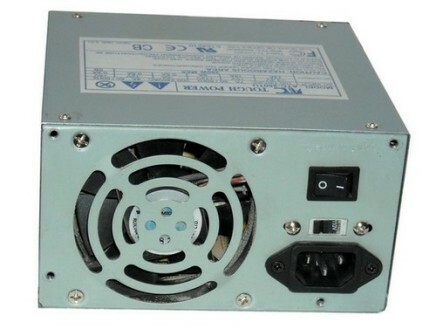 Most business and end-users can satisfy their needs with any of the 400 watt power supplies or 500 watt power supplies. Gamers and servers may need 1000 watts of power or more. The simplest way of determining this is to add up the power consumption of all major components and add 50%. As a general rule most people should use a power supply providing between 400 and 500 watts of power. When you are ready to install a power supply follow the instructions on assembling your computer. A power supply definition allows you to better understand the basics of what a power supply is. It is a device that takes in AC current from a wall outlet and converts it to usable DC current for your computer. It provides 12 volts for the motors in the computer (hard drive, DVD drive, and the quiet pc fans), at the same time providing 3.3 volts and 5 volts for the chips and other motherboard components. There is a voltage switch that allows you to adjust the unit to accept an incoming voltage to either 110 volts or 220 volts. In the United States 110 volts is standard, but elsewhere 220 volts is the standard. Make sure this switch is in the proper position. When searching for a quiet atx power supply go, to your favorite online computer store and check out the discount computer power supplies. Read the specs and find a cheap psu that best fits your requirements. If you would like to comment, or add any information on this Computer Power Supply page, please do so. Use the Contact Us form and we will respond as quickly as possible. If you would like to ask any questions, use the Questions and Answers form and an answer will be provided.